Designers and researchers at the Sepios Team, a Switzerland-based robotics team, have unveiled the latest look at their revolutionary underwater robot at Bombay’s TechFest 2015 earlier this month, showing off the robot’s capabilities and benefits to the environment. The machine, titled the Sepios, is based on a four-finned propulsion system influenced from cuttlefish, and uses revolutionary technology in order to take advantage of all four fins underwater. As opposed to traditional propeller-based transportation on underwater vessels and machines, which can tangle on plant life and disturb wildlife, Sepios’ fin-based propulsion is completely silent, and allows the machine to glide effortlessly through open waters and seaweed forests alike. On top of that, the four fins allow for unhindered movement in all directions, letting the robot ascend or descend, turn, and stop on a dime. 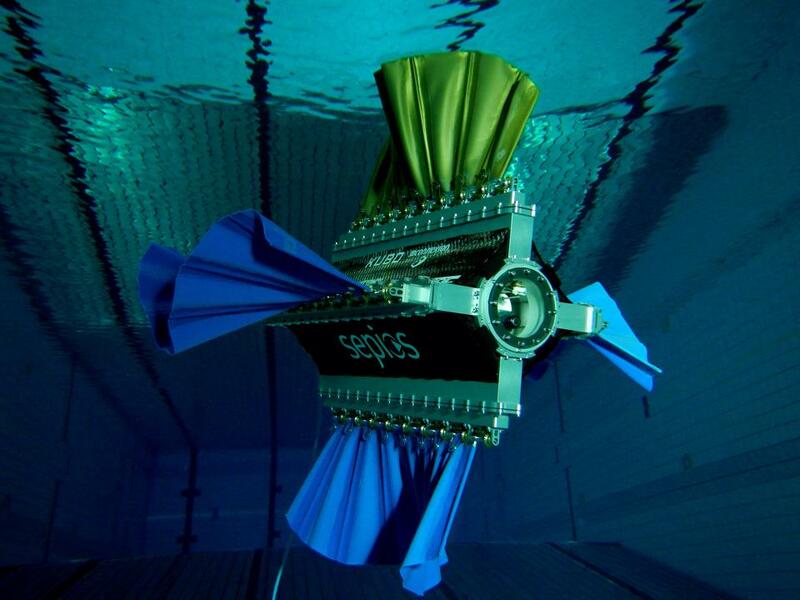 The Sepios Team hopes to continue to improve the robot by improving its coordination, on-board camera, and other detectors before it is used for any practical purposes, but the Sepios shows a promising future in alternative underwater propulsion.